Fortier, Anne. Juliet: A Novel. New York: Ballantine Books, 2010. I just finished listening to this novel. It's large and (at times) unwieldy, it's frustrating and silly, it's sentimental and unbelievable, and it's compelling enough that I really had to listen through to the end. And, of course, it has Shakespeare. Once things get rolling (and they do take some time to get rolling), the novel contains two stories running in parallel. 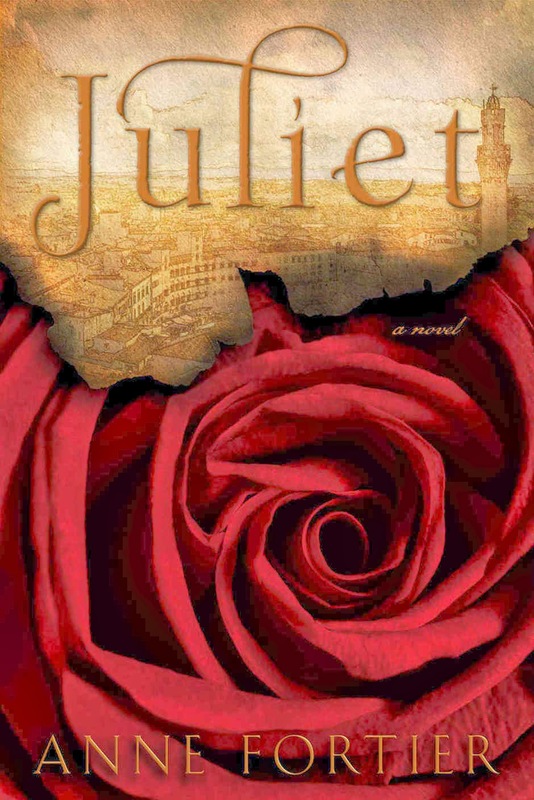 Our modern-day narrator learns that she is descended from the family from which the real Juliet—the one on whom all the stories (including Shakespeare's) are based—came. Moreover, a dying aunt has given her instructions to return to the city where Juliet's story took place: Siena, Italy. Once there, she embarks on a Da Vinci Code-esque adventure to discover lost treasure, the secret of her mother's death, et cetera, et cetera, et cetera. The story of the original Juliet and Romeo is told in tandem with the adventure story; it itself is another adventure story altogether. Eventually, our narrator discovers that she's reliving the story of Romeo and Juliet (after a fashion), and she gets mixed up in a secret cult dedicated to Friar Lorenzo (Shakespeare Friar Lawrence), another secret organization that "makes the Mafia look like the Salvation Army," and a mysterious artist who seems to live beyond time—periodically quoting from Romeo and Juliet. For a romance / adventure novel (which is not my preferred genre), it wasn't too bad—though I still don't understand the narrator, who is whiney and decisive and indecisive and passionate and cold whenever the plot seems to require her to be one of those things. All the same, I did need to keep reading to figure out what happens—if only to know just how angry to be with the protagonists.